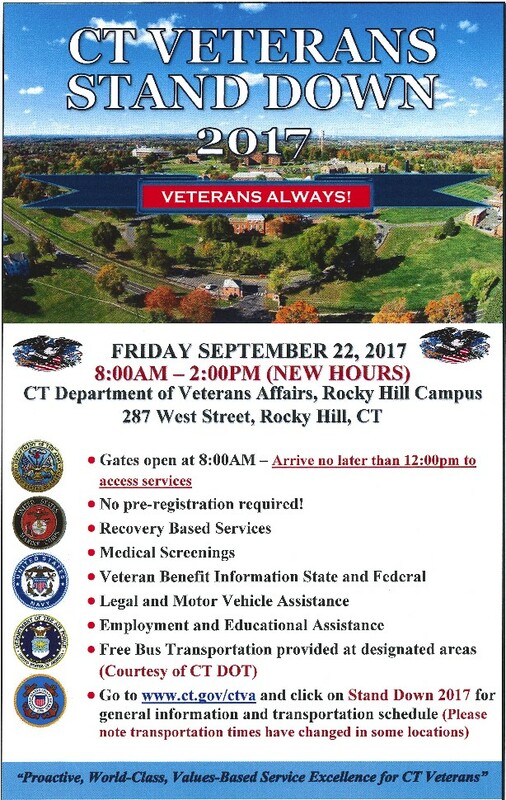 On Friday, September 22 the CT Department of Veterans Affairs is holding a Stand Down event at its Rocky Hill campus, offering veterans medical screenings, employment and educational assistance, recovery services, and more. Transportation is also available. Click here for more information and the transportation schedule. 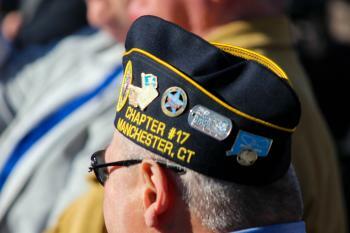 Please share this information if you know a veteran who could benefit from these services.